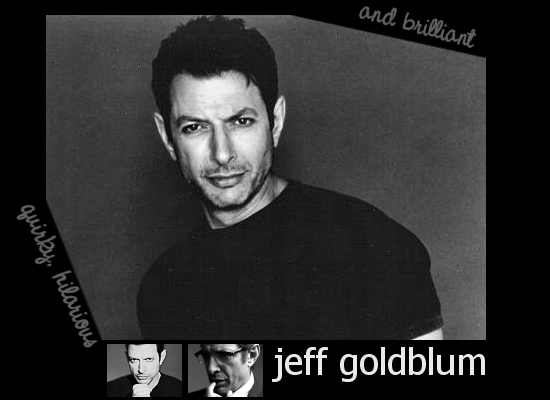 to Quirky, Hilarious and Brilliant, the Fanlisting for one of my favorite actors, Jeff Goldblum! If you are a fan of Jeff, show your support by joining the Fanlisting! This website is owned by Mikh and is listed at The Fanlistings Network. The previous owner of the Fanlisting was Buruma. I adopted it from her on August 27, 2009.